This system offers an opportunity for students to make informed decisions about the subjects they would like to undertake the following year, and planning for future aspirations. Students transitioning to Kapunda High School will learn about subjects for year 8 from our staff who will visit their primary school during the year before they begin secondary school and also during transition visits. Information is also available in the Year 8 Curriculum Book. A subject selection information package will be given to students currently in year 8 and 9 mid term 3. Selection forms are subsequently returned to home group teachers and counselling meetings arranged, if requested by parent/caregivers. Students considering studying a VET course should contact the Assistant Principal, Flexible Learning Pathways to arrange a counselling meeting. Students planning for Year 9 or 10 will choose subjects for the whole of the following year. Subject Selection website login details will be provided and students make their selections online. Subject to class sizes and facilities, there may be the flexibility to make subsequent alterations where it is beneficial to the student. This process involves approval from both parent/caregivers and Year Level Manager, and may be subject to timetable and other restrictions. As the school timetable is generated based on all students’ subject selections, occasional issues arise that may require some students to be re-counselled eg: subject lesson time clashes or a cancellation due to too few students choosing the subject. Gain a certificate that gives them a head-start on their pathway beyond school. Students who successfully complete the SACE requirements (200+ credits) are awarded the SACE certificate. Some of the VET options that may be available whilst studying at KHS are: Automotive, Electrotechnology, Kitchen Operations or Front of House (Hospitality), Fitness, Hairdressing, Beauty, Early Childhood Education and Care, Engineering, Animal Studies, Community Services, Aged Care and Health Support Services. See our Vocational Education and Training page for further information or contact our Assistant Principal, Flexible Learning Pathways. The Personal Learning Plan (PLP) is a compulsory SACE subject undertaken in year 10. 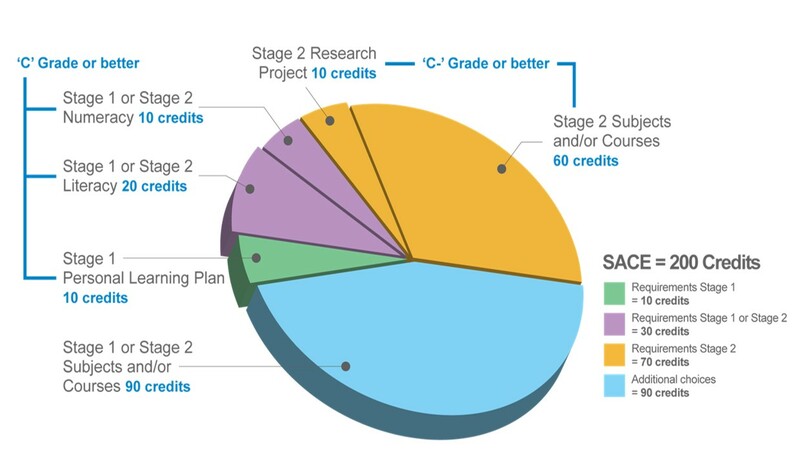 Students need to achieve a C grade or higher to gain 10 credits towards their SACE. Gain skills for future study and employment, such as planning and research. The PLP is the first step to completing the SACE. Students in years 10 – 11 will attend information sessions and will have opportunities to discuss various options with subject teachers, coordinators and parent/caregivers, to make an initial selection of subjects. In considering courses of study, students and their parent/caregivers are making very important decisions. Senior students will consider where their studies are leading and plan study pathways to post-secondary education or training. Students’ educational backgrounds, interests, capabilities and plans for the future should all be taken into account. Selection of subjects is not as simple as it may appear. Poorly selected subjects may adversely affect post-secondary pathways. It is not intended that all subjects will ‘run’ in the following year. The final offering will include those subjects that were chosen by sufficient students to create a viable class. A review of choices may also be necessary in Term 4, depending on student achievement. The following is designed to provide students and parents with information about our SACE Stage 1 and 2 Curriculum. How subject courses connect to future options. SACE requirements for senior school. Pre-requisites or recommended subjects for further study. The information available in the following links, will assist in course selection. Each student will be provided with individual login details by the school to access the Subject Selection website. Counselling sessions are held in Term 3 for years 10 and 11 with parent/caregivers, the student and two counselling staff attending interviews. Subject Counselling interviews are highly recommended as part of the selection process. SACE and VET information is given, recommendations made relating to achievements so far, and future pathways are discussed. A review of subjects previously selected online will be made for edit or approval. A final selection form will then be signed by parent/caregiver, student and counsellor. An Enrolment Key code will be given to students in years 10 and 11 for access to the booking website prior to the counselling sessions. Making appointments and choosing subjects using these sites is only available in the specified course counselling periods. Once subject selections are made at all year levels, a timetable is generated and classes created. Subjects may be ‘cut’ if too few students select them or clashes happen based on what subjects appear on a ‘line’ together. Should this occur, students and parent/caregivers are consulted for course re-selection. The final timetable is generated and students are given timetables.